A household inventory provides a detailed record of all your possessions. Its purpose is to expedite the claims process in the event of loss, theft, or damage – all of which are possible during a move, so it's a good idea to prepare one if you are planning on moving. It makes filing a claim with your insurance company (or moving company) much quicker and easier. It can be used by your insurance company to identify and provide adequate and accurate compensation for everything covered under your homeowners’ or renters’ insurance policy. In the event of loss or theft, it will help you to determine which items are missing. This can be very useful if you have boxes missing from your shipment since boxes usually only have a general description (such as ‘kitchen items’) on the inventory. It provides a record of model and serial numbers which can be used to identify your items if stolen. It can help you determine the correct amount of insurance coverage you need. Having model numbers, serial numbers, and dates of purchase in one convenient location also makes it easy to find what you need should it become necessary to replace or repair an item under warranty. It’s also a good idea to include a description of each item when appropriate. In the case of electronics, this might include special features. In the case of antiques, include the date of the piece as part of the description. 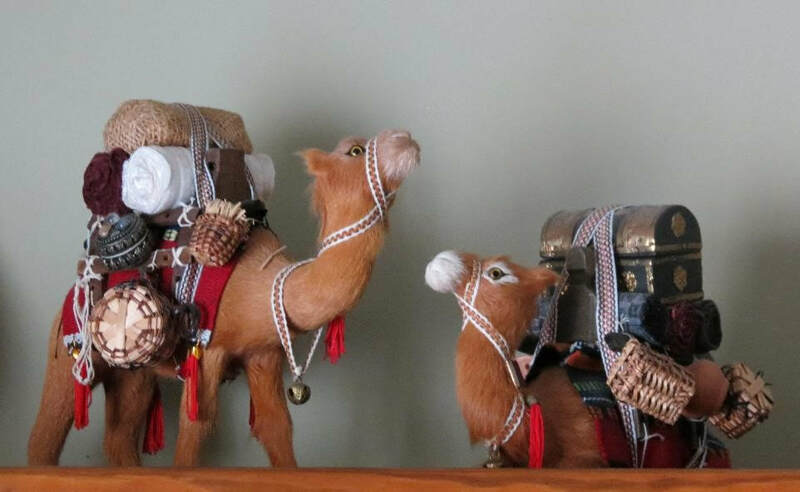 You can also use the description column to identify family heirlooms as well as one-of-a-kind or custom made pieces. Another good policy is to keep receipts for all major purchases and for any items that include a warranty. Include a column on your inventory to indicate whether or not you have a receipt for the item. If you do not have a receipt for an important item, bank/credit card statements can be used in some cases. In addition, you can look at your order history to determine the cost of an item and the date of purchase for items purchased online. Any other pertinent transaction documents should be included with your inventory as well. These might include certificates of authenticity, appraisals, and so forth. All purchase documentation should be scanned in order to retain an electronic copy of the information. For important purchases and items under warranty, I recommend scanning the receipt to make an electronic copy and then stapling the original to the warranty or instruction manual. It just makes sense to file the receipt with the warranty since both will be needed in the event of a problem. The reason for an electronic copy is that the method of printing used to produce most receipts actually causes fading over time. A household inventory could consist of a simple visual record of your possessions. You can make a visual record using photographs or video. A visual record is useful for establishing proof of ownership. It also provides evidence of the condition and appearance of items. It is a good place to start, but it is not recommended as the only record of your belongings. For added security, you will want to maintain a written record as well. You can do this by designing your own spreadsheet, or you can utilize one of the many apps designed for this purpose. Check out Insuramatch's article on The Best Home Inventory Apps (2018) to get a sense of what's available. Once you've determined the method for recording all your information, you’re ready to get to work. Tackle one room at a time until you are done. Be sure to capture every area of your home including your basement, attic, garage, and any outdoor structures (shed, shop, carriage house). Capture a wide angle view of each room to demonstrate the magnitude of the loss in the event of a disaster. Then zoom in on specific areas of the room and individual items. For instance, in the case of a book collection, you will not want to take separate images of each book. A view of the bookcase lined with books is sufficient. However, if you have a particularly valuable book, such as a first edition of a classic, you may want to photograph it separately. Maintaining an inventory ensures you will receive adequate compensation should anything happen to your collection. In the case of a move, it makes it possible to determine which books/movies/CDs are missing should one or more boxes disappear. Your book inventory should include title, author, publisher, genre, and type of binding (hardback, paperback, library binding). 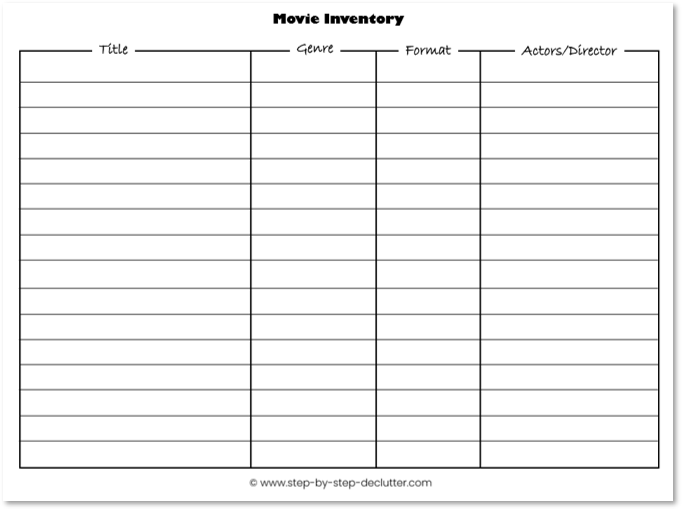 A movie inventory could be a simple list of titles. However, you may also wish to include genre, director, producer, starring actors, the year a movie was released or any other information that interests you. If you still maintain a large collection of music CD's, you may want to create a music inventory. Recommended information for such an inventory would include album title, artist, and genre. In addition to title, video game inventories could include rating and game system such as Wii, PlayStation, or Xbox (particularly if you have more than one system). We have a large collection of lectures on disc from The Great Courses® for which we keep an inventory; it's just a separate tab in the library inventory (which we have created in Microsoft® Excel). We also have a tab for board games. Larger items such as furniture, appliances, and electronics should be photographed separately. Zoom in on brand names, model numbers, and (if possible) serial numbers. In addition, high value items such as jewelry or collectibles should be individually photographed. If videotaping your possessions, be sure to include an audio commentary as you progress from room to room. Zoom in on high value items and provide any pertinent information in your commentary. ​Make sure all photos and video are dated. Use these printable inventory forms to keep track of your media collection. Print as many copies of each form as you need to keep track of your books, movies, or music. 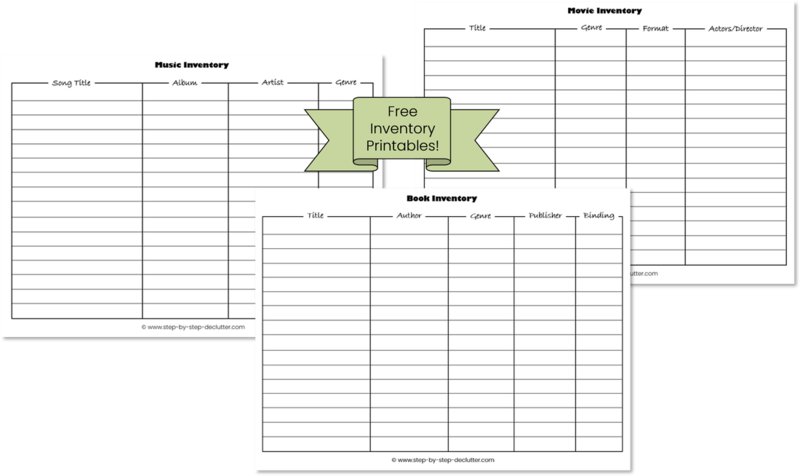 Place the completed forms in a binder with tabs for each type of inventory. Click on the images below to print each inventory. Once your household inventory is complete, you will want to make a copy of everything associated with it. This includes photos, video, receipts, and appraisals, in addition to the inventory itself. You will need to update your household inventory every six months or so. Remove any items you no longer possess and add new items. Major purchases should be added as soon as possible. When you move, you should hand carry your household inventory as proof of value should you need to file a claim for a lost or damaged item. Put together a household inventory and enjoy peace of mind knowing you will be adequately compensated in the event of loss, theft, or damage. If you found this page helpful, please share it on social media. Feel free to leave a comment below as well. I would love to hear from you.